The Cairho U.K.Polyester Multicolor Casual School Backpack is For fashion-forward college-goers. Made from polyester material,this backpack is high on durability. Its padded, adjustable straps provide ample carrying comfort. Key Features! This Cairho School backpack features a main compartment to carry your everyday essentials or basics needed for the next short trip. A zippered compartment at the front lets you store stationery items, cables, CDs and more. 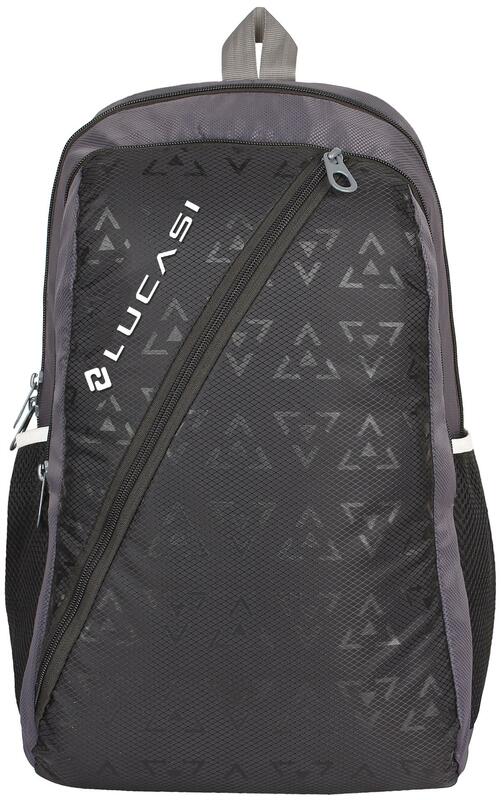 This School backpack also has a mesh bottle holder on the side to keep you hydrated on the go! This stylish unisex school backpack provides multiple carrying options. The dual adjustable straps at the back help you comfortably carry it on your shoulders. Looks trendy with cool patterns. Features : Outer Material: Polyester,Inner Material: Polyester,Upper pattern: Printed,Color: Multi-Color,Strain Resistant: Yes,Runner: Normal Runner,Capacity: 24 Liters,Weight: 300 gm,Dimensions: 45cm x 30cm x 20cm,High Quality Accecories Fitting,Warranty type: Manufacture.